In this day-long class we will explore medieval German wrestling techniques (known as Ringen) from three different medieval and renaissance sources. First, we will learn to move into and escape from various grips. As the day continues, we will move from the grip to the throw, seeing a variety of types of actions with the feet and hands, including locks, trips, sweeps and breaks. We will learn counters to these throws, and learn how and when to apply them. Towards the end of the day, we’ll continue the fight to the ground and perform some common holds and pins seen in the German corpus of techniques. 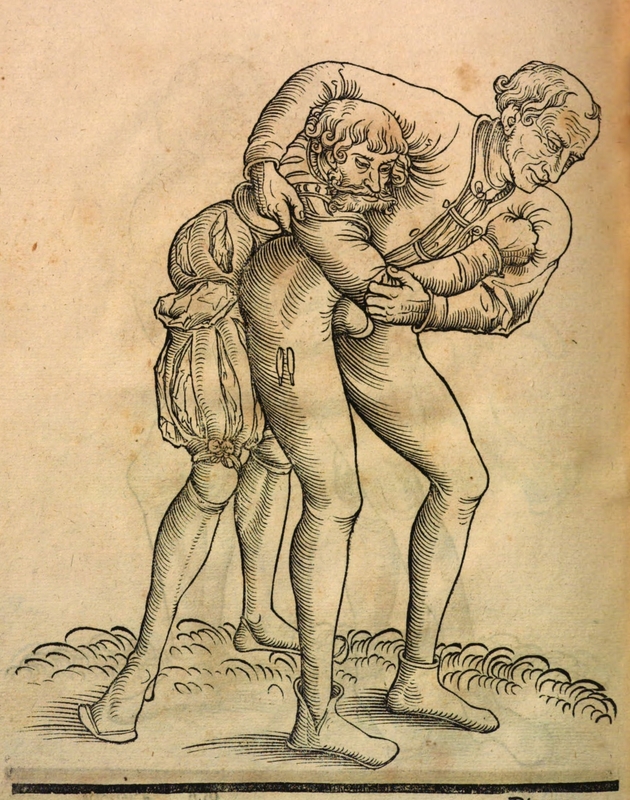 The seminar will present techniques from the 15th century wrestling master Ott, the early 16th century master Auerswald and finally from the anonymous writer of the ringen found in the Glasgow Fechtbuch. After this seminar, the student should have an understanding of the principles of Ringen, and how to continue the study both in the German traditions as well as other unrelated wrestling traditions. Required Gear: A jacket either purpose-made for wrestling, such as a wrestling jacket, a judo gi or a bjj gi. If unavailable, any strong denim or linen jacket can work in a pinch. Cost: $50 for members, $60 for non-members. Register today! Jessica Finley has been a student of the sword for over twelve years. Her interest began in stage combat, but quickly branched out to German Medieval Swordsmanship. She had been a student of Christian Tobler’s since 2002, and currently is the principal instructor of Great Plains Fechtschule, a chapter of Selohaar Fechtschule, within which she hold a rank of Free Scholar. She also has experience in Judo, and achieved the rank of Nikyu under the tutledge Arden Cowherd of Topeka Judo Club. Hey! How does a person register for this?